Grab a spoon and get ready to dive into this creamy Lemon Mousse. It is so easy to whip up and is great topped with berries and crumbled Walkers Shortbread cookies. 4th of July. Time for picnics, parades and fireworks. 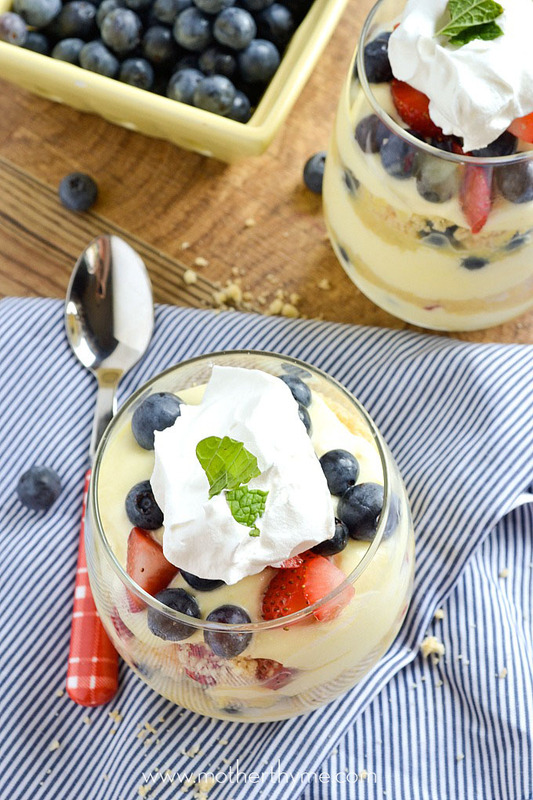 Celebrate this 4th of July with this festive red, white and blue Lemon Mousse Berry Parfaits. You can easily make this in a large trifle serving bowl, or I like to make them in individual mason jars. Making them in mason jars, you can keep them covered and refrigerated until ready to serve. If you are heading to a picnic, they’ll stay cool in the cooler until you are ready to take them out. Using mason jars make them easy, portable desserts. If you are entertaining, a fun way to serve dessert to your guests is fill up a large metal bucket with ice, and place the mason jars in the ice to keep cool. 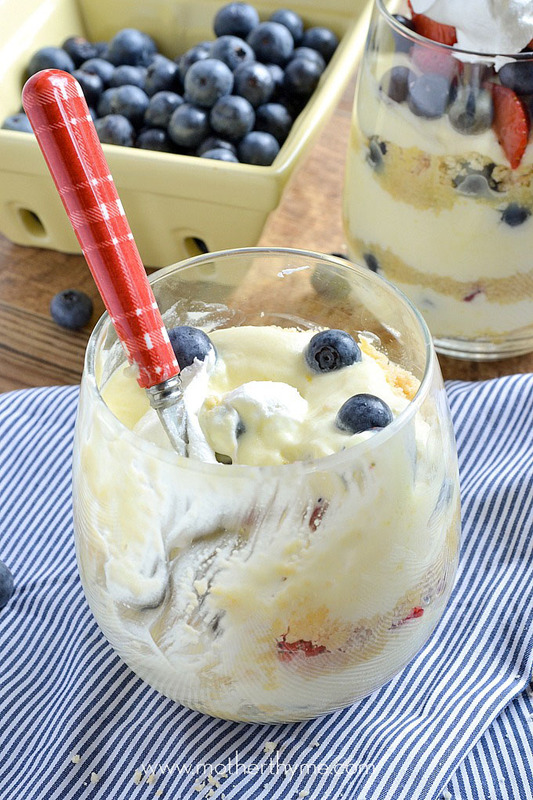 Everyone can grab a mason jar when they are ready to enjoy this yummy dessert. This Lemon Mousse is super easy to make. Simply mix cream cheese, condensed milk, fresh lemon juice and lemon zest together until creamy. Fold in some whipped cream, cover and chill for about 30 minutes before assembling. Once you have the base of this dessert made, you are ready to assemble. 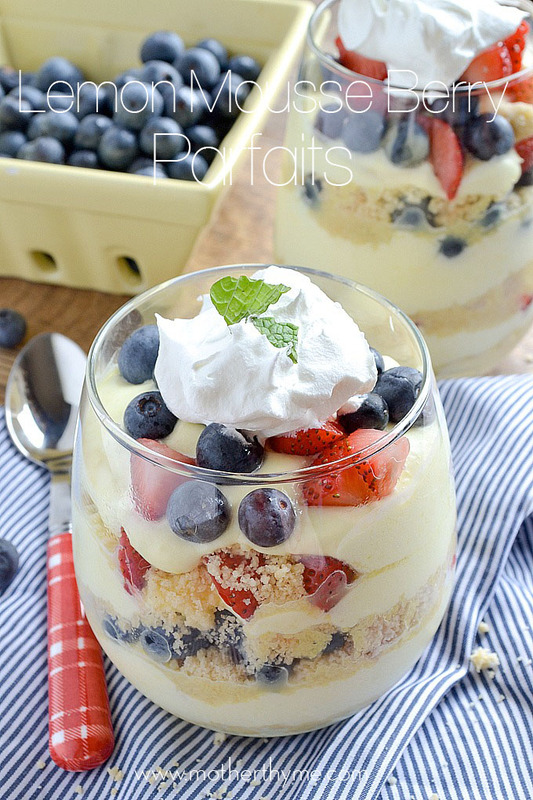 You can use whatever you have on hand to customize these parfaits. I like to use crushed Walkers Shortbread cookies, strawberries and blueberries. Lemon with shortbread is a great combination. 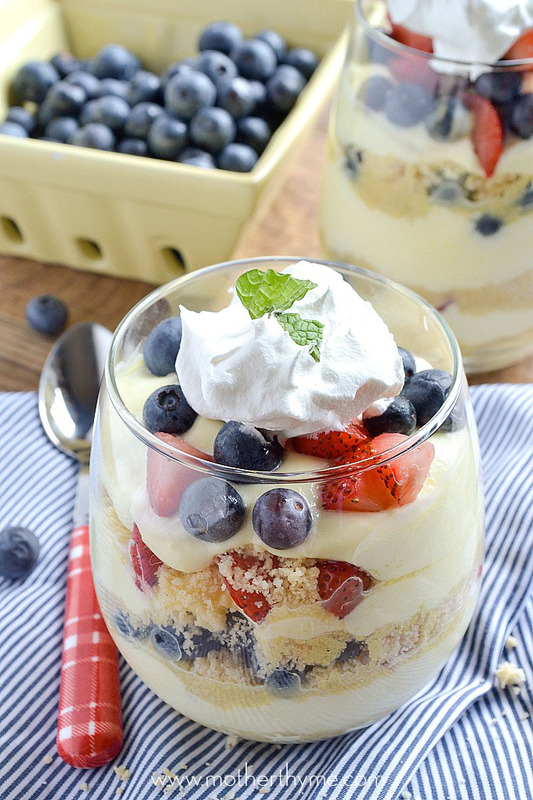 The fresh berries add another delicious layer for a simple a refreshing summertime dessert! Using an electric mixer, whip heavy cream on high until stiff peaks form. Scoop into a small bowl and set aside. Using an electric mixer mix cream cheese, condensed milk, lemon juice and zest until smooth and creamy. Fold in whipped cream. Cover and chill for about 30 minutes. 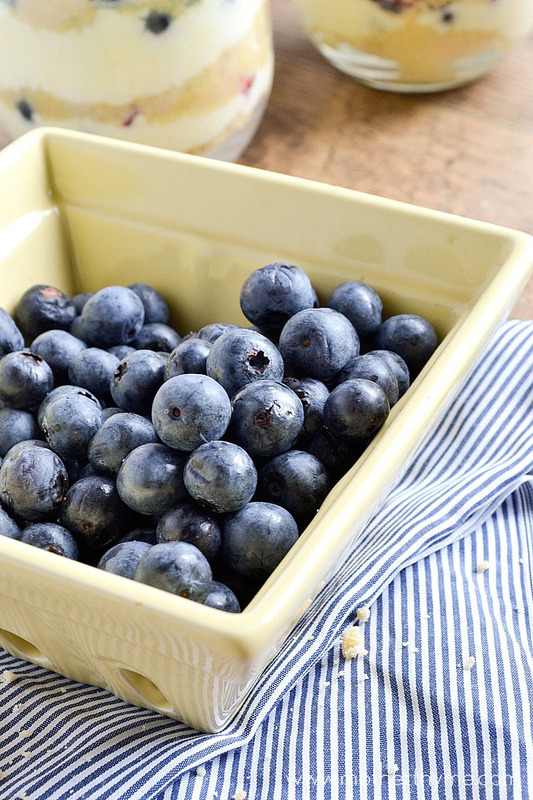 Mix berries together in a bowl and set aside. Place shortbread cookies in a resealable bag and crush using a mallet or rolling pin. To assemble, scoop desired amount of lemon mousse in bowl, top with some of the shortbread crumbles then berries. Repeat layer. Depending the size of the serving bowl or jars you use, you may need to repeat layers more. These look so great! I absolutely love lemon desserts. I was wondering if there is a substitute for the condensed milk. I don’t use canned food and really want to make these. These are gorgeous!! Oh, how I love lemon. Perfect for the 4th too. Pinned!